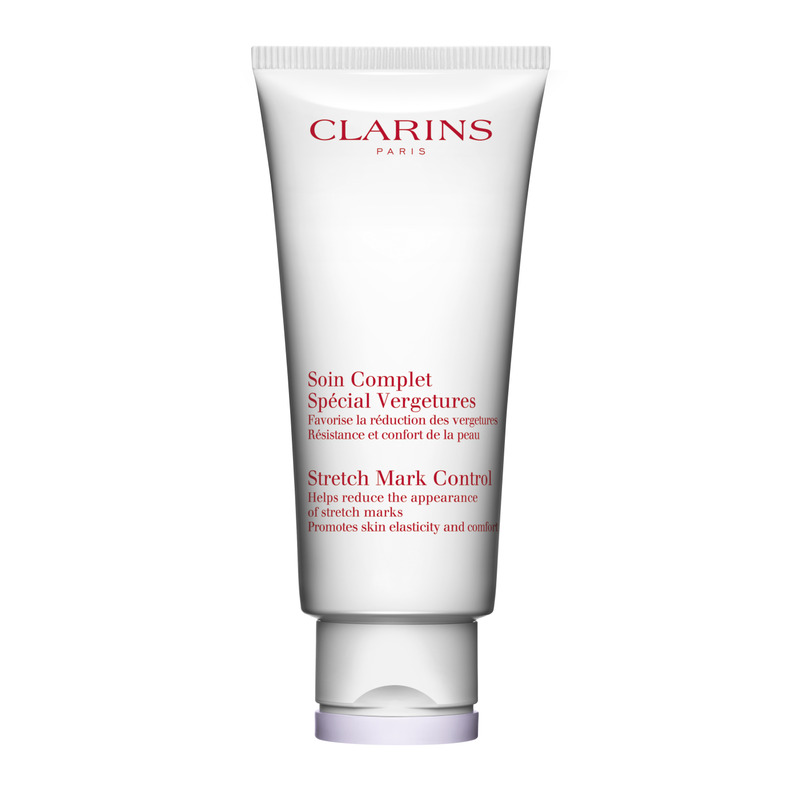 Clarins Stretch Mark Control helps to reduce the existing appearance of stretch marks and prevent future ones from forming by enhancing the production of collagen fibres. With its nourishing olive, coconut and palm oil ingredients, the cream improves skin-elasticity while enhancing the skin's healing process. It reduces the colour of new stretch marks and stimulates their repair. This rich yet non-oily, fragrance and colour-free cream also has a super-comforting texture that doubles up as a perfect masssage medium, comforting and soothing skin during pregnancy or periods of extreme weight fluctuations. During pregnancy, we recommend to use exfoliating body scrub during shower. Massage onto dry or damp skin 1-2 times per week (including the bust area and concentrating on rough areas such as elbows, knees, feet and thighs). Rinse thoroughly. After a warm shower, ensure your skin is damp and start off with Tonic Body Oil. Since the oil can be rather slippery, advised the application done once you're on a more dry floor surface area. Applying oil after shower allows the pores of your skin to open for a much better absorption. Apply evenly and on circular motion and once the oil has been seeped into the epidermis, apply Stretch Mark Control Cream after. If you find there are some white residue during the lotion application, it is a normal after texture should your skin area has more exfoliation. Mode and ratio of application is 2:1. Rated 5 out of 5 by junesam from It works also for existing stretch mark! I gave birth to two lovely children and my youngest has just turned 2.5years old. I did not encounter with this product earlier and hence when I saw this product from Clarins, I decided to give myself a try to see whether it can lighten my existing stretch mark! After the application on the stretch mark for 2 weeks, I can see the visible result whereby the skin is smoother and the mark is getting lighter! I will continue to apply! Rated 5 out of 5 by Deejay from Great product! I've only used this recently after being impressed with the body fit product. I could see improvement in my skin elasticity and my skin feels smooth. Rated 5 out of 5 by irisbaby230886 from Gift for a friend! I bought the stretch mark control cream for my pregnant best friend and she loves it! She will be purchasing another one soon! Rated 5 out of 5 by CHLOEtan from Weight lose helper After my weight lose journey of 38KG in 14 months , I discovered that I am having some stretch mark on tummy , inner tight and armpit area. Recommended by friend after using for 1 week the stretch mark has significant result which the line had lighten and skin elasticity increase also tighten my skin. Products texture is so fresh that easily adsorb into skin every time applied. Rated 5 out of 5 by Boey from The best stretch mark control I apply clarins stretch mark cream during my whole pregnancy and now I hav 0 stretch mark on my body. Amazing! Rated 5 out of 5 by azida89 from Good products! This product keeps body moisturized and elasticity of my skin even after giving birth. Recommended.